In a few weeks I will be attending a family reunion of the Arbona side of the family. My great-grandfather came to Puerto Rico from Mallorca, in the Balearic Islands (Spain) in the late 1800’s. In short, he went back, got married, had his children and they returned to Puerto Rico due to the Spanish Civil War during the 1930’s. We are a large group! (one of my great-uncles had 10 children, they all had children and their children have children, etc.). In honor of this gathering, I got inspired to publish my recipe for Ensaimada Mallorquina. 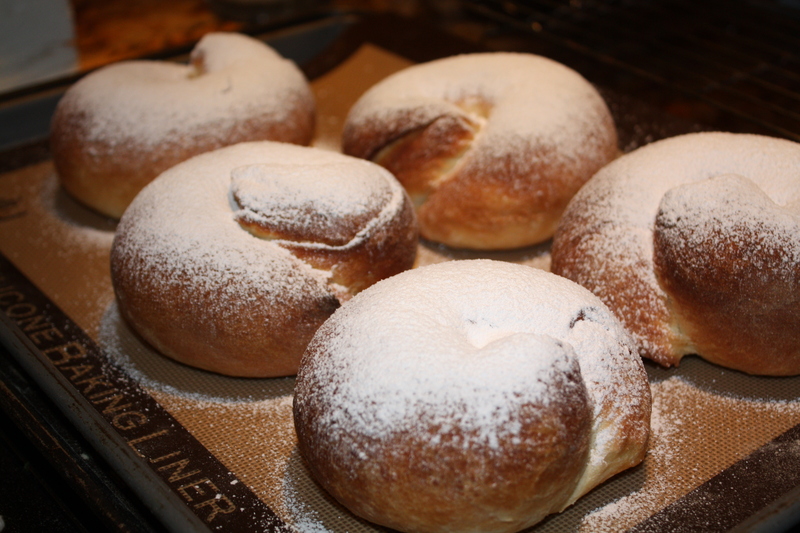 To give you a little background, Ensaimada is a typical sweet bread from the island of Mallorca . They are usually large (about 12 inches in diameter) and sometimes filled with fruit preserves, “angel hair” (pumpkin confit), sobreasada, almond puree, cream or apricots. For hundreds of years, like many countries in South America, Puerto Rico had a large group of immigrants that came from different parts of Spain (including the beautiful island of Mallorca) looking for work, fortune and a better quality of life. My grandfather, Papi Bartolo was one of them. Therefore, Puertorican culture is highly influenced by the traditions of many different regions of Spain. In Puerto Rico there is a version of Ensaimada called “mallorca”, like the island of its origin. It is usually the size the palm of my hand, so no wonder as a little girl, I was in awe of the size of Ensaimadas on my visits to Mallorca. Also, they can be found in every bakery shop in Puerto Rico and even American fast food restaurants have incorporated it in their breakfast menus to adapt to the tastes of the locals. However, although they have a similar shape, they are not rolled up twice like traditional ensaimadas and its dough is more similar in texture to “brioche” (flaky french bread) or challah bread, depending on the place where you buy them. The most popular mallorcas in Puerto Rico are the ones from La Bombonera in Old San Juan (to me the closest texture to ensaimada in PR) and from Panaderia Pepin (absolutely delicious, but not similar in texture) in Guaynabo and San Juan. The name ensaimada comes from the arabic word “saim”, which means pork lard. The first accounts of ensaimadas are from 17th century writings. There were not written recipes to make ensaimadas. However, there was a method. According to Mallorcan Web, ” to explain how ensaimadas were made 200 years ago and nowadays is one and the same thing. The process is completely artisan and can take up to 24 hours to complete. To make the dough old measures are still used: almudes and ounces. To get some idea, in Mallorca an almud of dough contains a kilo of sugar, a dozen eggs, a liter of water and all the ‘strong’ flour it can take (thereby is the secret, no measurement for the flour!). 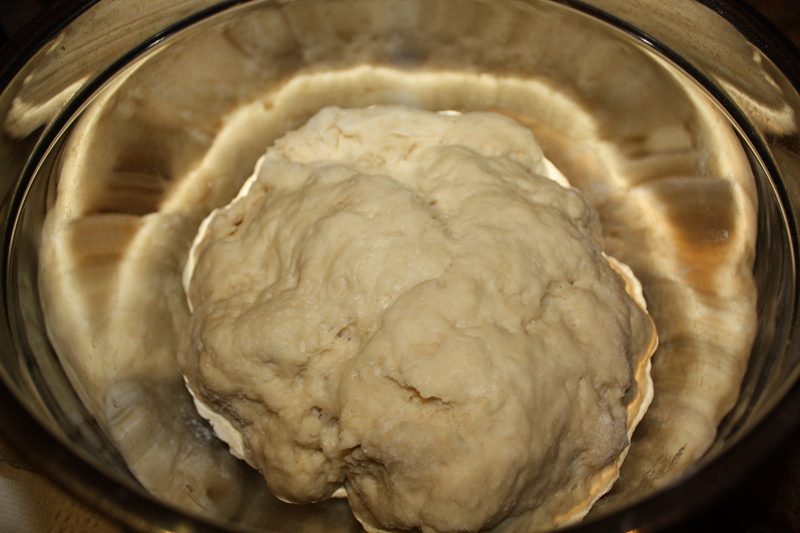 To these ingredients yeast is added which can be either natural yeast or in powder form, and the kneading starts. In former times this was done by hand. Although nowadays machines are used, to do so by hand the dough is placed in a bowl and kneaded until it is soft. 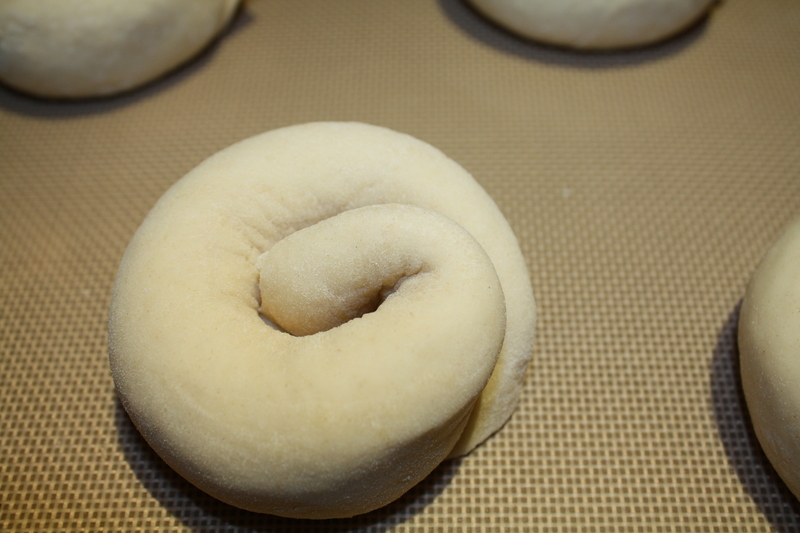 After more or less half an hour, it is smooth.” This dough is kneaded and rolled very thinly, then rolled and spiraled to form the traditional shape of an ensaimada which is like the house of a snail. Lately, I’ve been told that for some reason the ensaimadas that are sold in large boxes at the airport of Palma de Mallorca are not allowed to fly with you on the plane, you have to put it in your suit case and send it through cargo. 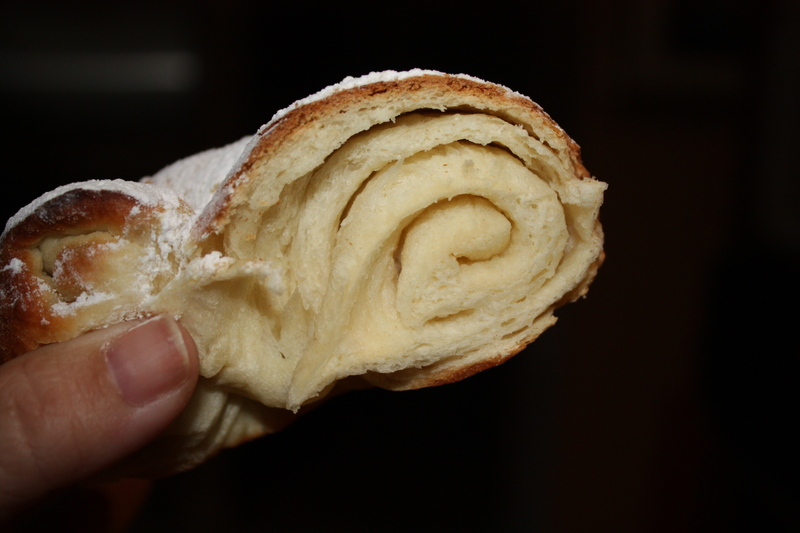 Ensaimadas can be served warm or at room temperature for breakfast, as dessert, with coffee or tea or as a snack. They are a bit crusty on the outside and flaky on the inside. Also, you may heat ensaimada that is a few days old in the griddle with butter or ham and cheese like a panini. I had never found a recipe that I felt confident I could follow, but over a year ago I found this recipe in a german website (germans flock to the island of Mallorca in large groups throughout the year) and adapted it. 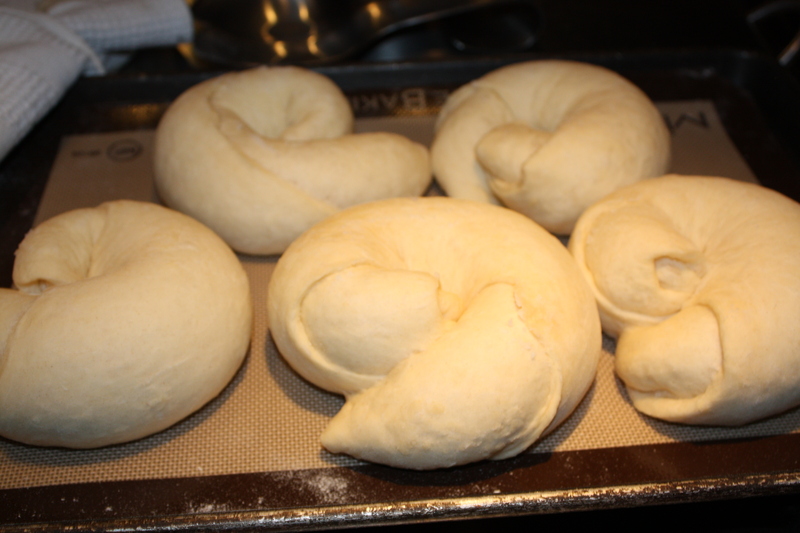 It is fairly easy to make, just takes time because of the wait to let dough rise. Remember the oven must be very hot and to use common sense since ovens vary. I like to let them rise overnight and bake them on a weekend morning for my family to enjoy. Here is my version of Ensaimada de Mallorca. 1. Mix flour, sugar and salt in a large bowl. Make well in the center and add 1 packet of dry yeast (2 1/4 tsp) or 1- 40 gram block of fresh yeast (crumbled) , a large pinch of sugar and enough warm milk until the yeast is covered. Stir the yeast and milk a bit with a fork. 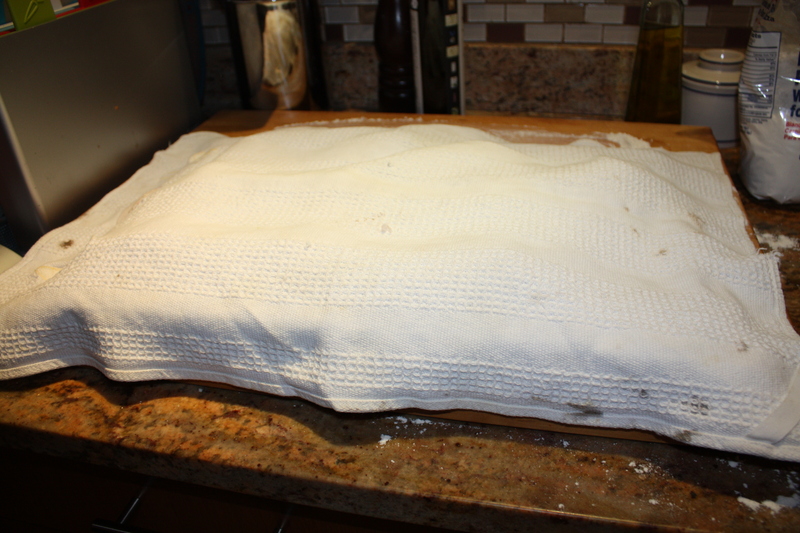 Cover the bowl with a kitchen towel and let rest for about 15 minutes or until the yeast has bubbles. 2. Add other ingredients and knead by hand or with your dough hook in your electric stand-up mixing machine. If the dough is too sticky add a bit more flour. Cover the bowl again and let rest in a warm place for at least 30 minutes or until dough has doubled. 3. 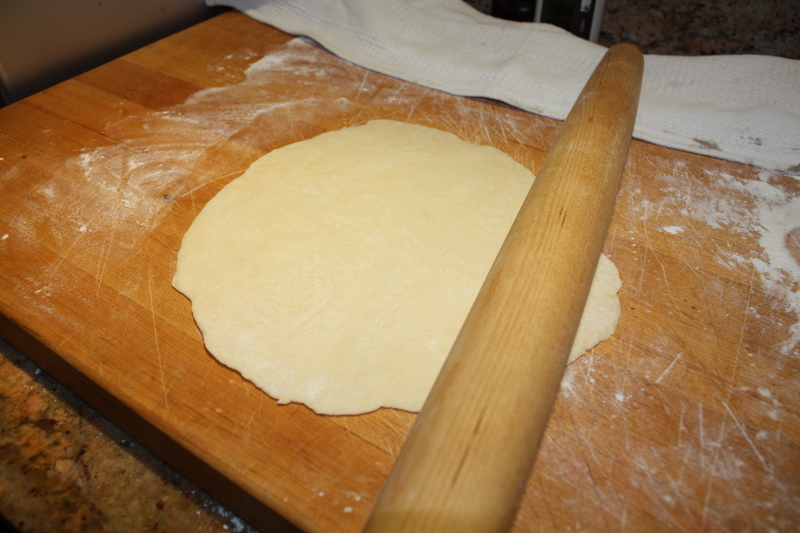 Punch it down softly, and place the dough on a well floured surface. Cut into 10 equal portions and form into neat balls before letting them rest. Sprinkle with flour and cover with kitchen towel for at least 30 minutes. 4. 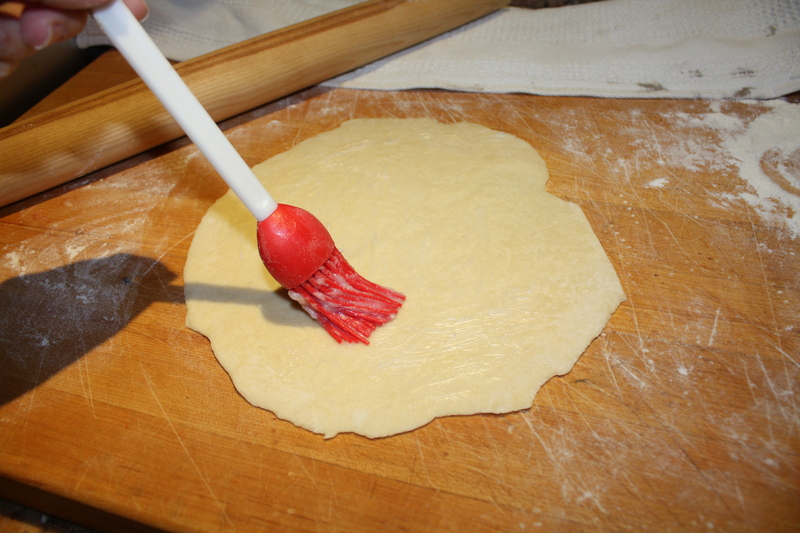 To shape the ensaimadas, flatten dough ball and roll out with a rolling pin (use flour as needed) until you get a thin disc. Brush it generously with lard or vegetable shortening. Roll up cautiously and set aside on lined baking sheets (either with parchment paper or silicone mats). 5. 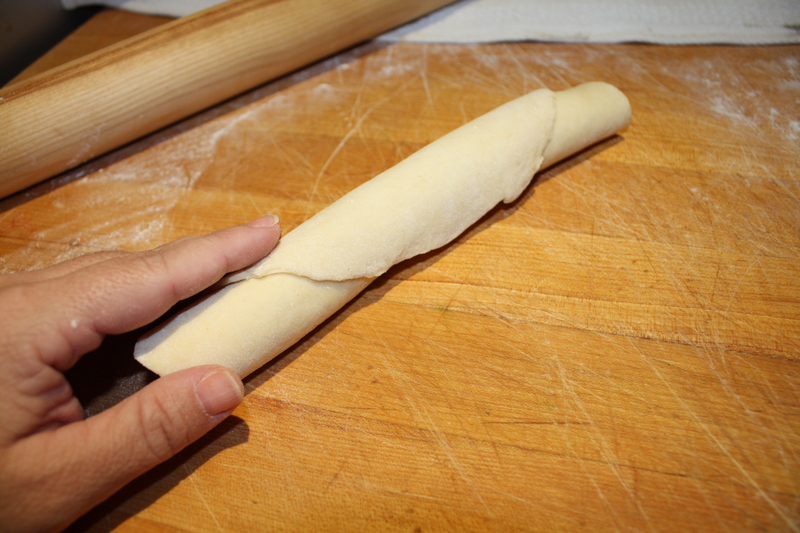 Coil up each piece of dough until it resembles the house of a snail tucking the outer end under (some people pull the rolled up dough a bit to make it longer and thiner, but that’s optional). 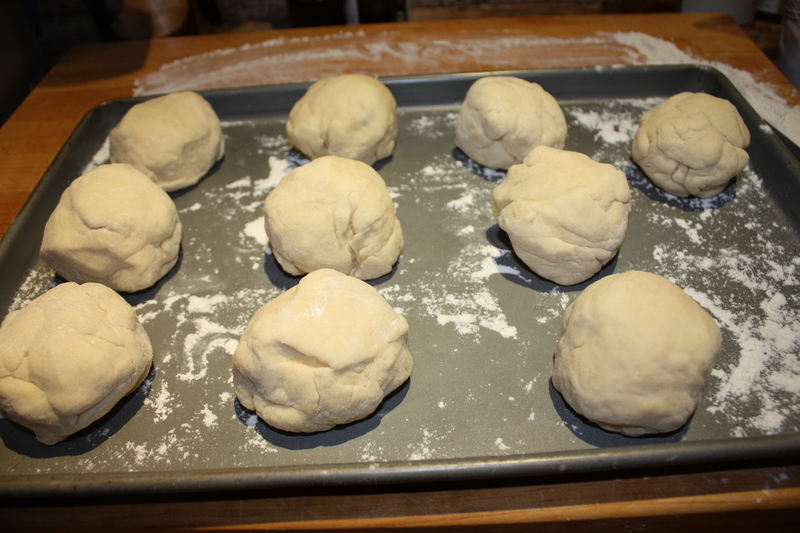 Do so loosely because the spaces will fill up as the dough keeps rising. 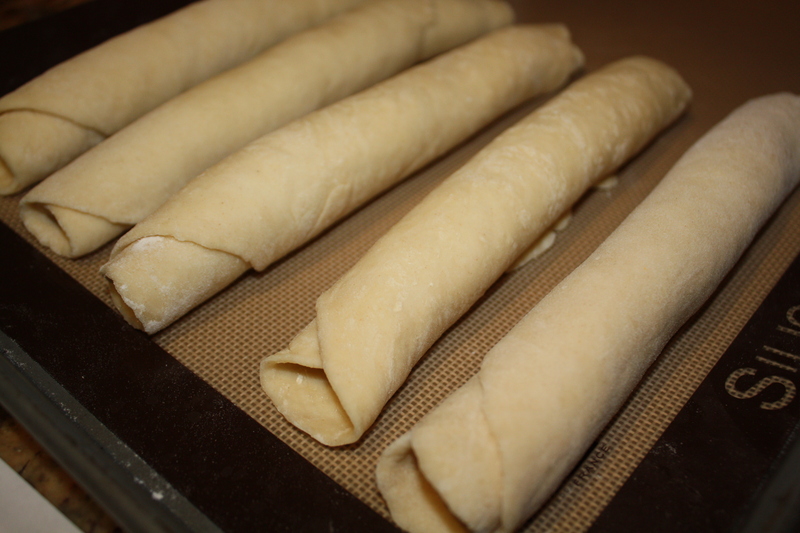 Place 5 ensaimadas in a baking sheet, leaving space between them. Lightly brush with lard or shortening and cover up again. This is the final rise which is done from 4 hours to overnight (you choose, I do it overnight). 6. To bake, preheat oven 390ºf and bake for 12-15 minutes or until golden (do not let brown too much). Let cook in a wire rack for a few minutes. Me muero por probar una!!! Me encanta toda la informacion que incluiste! Cuando vas a tener tu propio “segment” en Food Network?!!!! You have a gift for this! Thanks for sharing it with us! Gracias ally, me encantaria eso del segment en food network! Ja! Creo q por medio de la comida aprendemos mucho de historia y cultura tambien y eso me fascina! Este post ha tenido mucha acogida. Las fotos son tentadoras! Saludos. Gracias por tus comentarios. I made the ensaimadas!! But I made a small change to your recipe… Instead of using the shortening to brush only before rolling, I added most of it to the mix. What was left stuck to the measuring cup I used to brush before rolling and twisting into a “knot” or a “pinwheel”. The outcome was a very soft, flaky, very light bread. Delicious!!! And not difficult at all, I will definitely make them again!! congratulations maria luisa! ensaimadas are worth making at home sooooo delicious! once you get the courage to try it, becomes easier every time. Thank you so much, I’ve been meaning to come back here and tell you that the recipe is great. I ate Ensaimadas in New York and I had to find the recipe. A friend told me she made ensaimadas filled with jelly, and it’s awesome. Thank you.